In order to provide control and a better service to patients we run a computerised repeat prescription service. 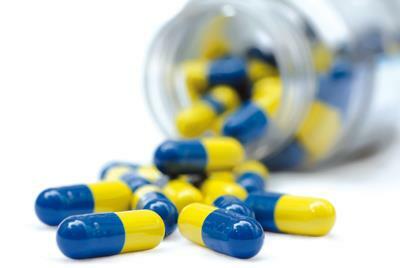 If you need to take medication regularly your doctor may agree to authorise a 'repeat prescription'. This will enable you to obtain medication without having to see the doctor every time. With each prescription you will receive a tear-off slip which lists your repeat medication and you may request re-supply by ticking the appropriate entry. Leave your completed slip in the box in reception or post it through the letter box. Alternatively and ideally, you can order online via the link at the top of this page. If you haven’t already registered for this service you will need to download the registration form Online registration form 2017 and upon completion return it to the surgery with the valid identification as detailed on the form. The system is called Patient Services Online. We do not accept telephone calls for repeat prescriptions. Please note; requests for HRT or oral contraception will not be processed; you will need to be seen by the practice nurse to obtain a prescription. Do not wait until you have run out of medication before requesting a new prescription. Please note: repeat prescription requests submitted before 14:00 will be ready for collection 2 working days later after 14:00. (Saturday & Sunday are not working days). If you want your prescription sent to you please provide a SAE but also allow for the extra day. Please remember that, in order to safeguard all involved, repeat prescriptions may not be collected by minors (under 16 years old). If you or someone you care for uses the same medicines regularly, you may not need to get a new prescription every time you need more medicine. Talk to your doctor, local pharmacist or practice nurse to find out more. If you or someone you care for uses the same medicines regularly, you may be able to benefit from repeat dispensing from the pharmacist. This means you won’t have to visit the surgery or make an appointment to see the doctor or practice nurse every time you need more medicine. The first step is to talk to the person who prescribes your medicines – your prescriber – and ask if you can use repeat dispensing. Your prescriber will usually be your doctor or practice nurse. They will then ask you for permission to share information with your pharmacist about your treatment. This will help the pharmacist give your prescriber information about your treatment, and give you useful advice. You may be asked to sign an agreement form. Your prescriber will give you a signed authorisation form (which is valid up to a year) and some repeat dispensing issue forms. They will explain to you what these forms are for. The next step is for you to take the authorisation form and one of your issue forms to the pharmacy when you need your first batch of medicine. You don’t need to fill in or sign the issue form until you’re ready to hand it to the pharmacist. The pharmacist can help you complete your form if you’re not sure what to do. Let the pharmacist know if you’re taking any other medicines, or if your condition has changed recently. The pharmacist keeps your authorisation form. You should keep the rest of your issue forms in a safe place, or ask the pharmacy to look after them for you. You will need one each time you collect your medicine. Next time you need more medicine, go back to the same pharmacy with a new issue form. If the pharmacy is looking after the forms for you, contact them and tell them you need more medicine so they can have it ready for you when you go in. Remember to fill in your issue form when you get to the pharmacy so they can give you your medicine. If you have any questions, just ask the pharmacist. They’ll be happy to help you. What happens if I lose my forms, or I run out? You’ll need to go back to your prescriber and ask for more forms. Make sure you do this before your medicine runs out in case your prescriber wants you to book an appointment to check that the medicine is still right for you. Can any pharmacy provide this service? You can choose any pharmacy that dispenses NHS prescriptions. You just need to make sure you use the same pharmacy each time you need more medicine. What if I move home and need to use a different pharmacy? You’ll need to go back to your prescriber and get a new set of forms. You should take the new signed authorisation form and an issue form to your new pharmacy when you need your medicine. Do I have to get all the items on my prescription at the same time? No. If you’ve still got plenty of one type of medicine left, tell the pharmacist. Is the pharmacist qualified to help me? Yes. As well as doing a four-year masters’ degree, pharmacists do an additional year’s training which covers the actions, uses and side-effects of medicines. That means they’re highly qualified to advise you on the medicines you’re taking. Can the pharmacist change my prescription without telling me? No. The pharmacist can talk to you about your medicine, and help you with any questions or problems. But no one will change your prescription without talking to you first. Will I still have to pay for my prescriptions? Yes, if you’re paying at the moment. 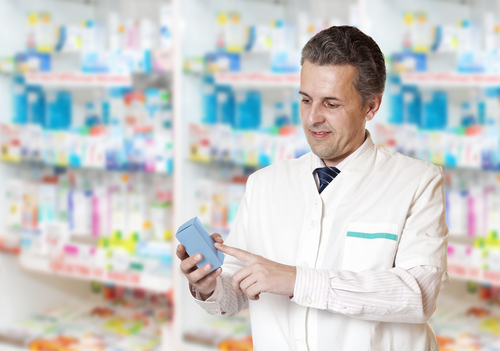 A prescription pre-payment certification (PPC) could save you money. Ask your pharmacist or call 0845 850 0300 for more information. Do I qualify for free prescriptions? Check Part 1 of your issue form. If any of the statements apply to you on the day you go to the pharmacy, you won’t have to pay. For information about medical and maternity exemptions, call 0845 601 8076. To find out whether you qualify for free prescriptions under the NHS Low Income Scheme, call 0845 850 1166. How long are these prescriptions valid for? Most prescriptions are valid for a year. In some cases – for example, if your prescriber want to see you sooner – they may be valid for a shorter time. Can I get electronic prescription? Electronic prescriptions will be available during 2006. Ask your prescriber or pharmacist for more information. Can I carry on getting repeat prescription from the surgery? Yes, you can. It’s up to you to decide how you want to get your medicines.